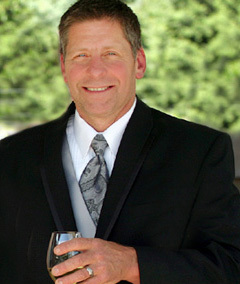 Lake Chelan Wedding Rentals is owned and operated by Jeff Tuttle. If that name sounds familiar, it should! Jeff’s wife, Lynn, owns the well established Fleur de lis Floral and Event Design in Lake Chelan. After spending 7 years watching Lynn's floral business grow and seeing first hand her experience with Lake Chelan weddings, Jeff decided to enter the wedding professionals arena! This is his fourth year experiencing the fun and excitement of Lake Chelan weddings through rentals. You'll find rental items such as dinnerware, glassware, flatware, vases, linens, tables, chairs, crystal chandeliers, trellises, candelabras, tents, dance floors, and bars. We also carry a unique variety of vintage styled rentals. Our showroom is tucked away in the Wenatchee National Forest just down the road from the Lake Chelan State Park. We are open by appointment only. If you would like to schedule yours, please contact us.